New version of our Video Downloader supports the quality "4K" recently announced by YouTube. This quality refers to the resolution of up to 4096x3072 pixels and allows to watch videos marked as "Original" in YouTube quality pulldown menu. Download Freemake Video Downloader on this link and enjoy original 4K videos. Soon you will use Freemake as a 4K free YouTube converter: convert 4K videos to AVI, MKV, MP4, etc. Nowadays there is almost no 4K content on YT or cable television. You can search YouTube for 4K examples using request "4K video example". There you may find a couple of natural resorts or parks recording. Or you might see some sports events that shot in slow motion. The absence of content is easy to explain. On the one hand, to make a film of 4K quality, you have to use special high definition cameras which are quite rare and expensive on today’s market. Dalsa Origin is the first 4K camera manufactured for the movie industry in 2003. In spite of the fact, that it’s been more than seven years since initial hardware invention, high definition production is still quite pricey. That’s why the majority of Hollywood blockbusters can’t boast of ultra HD resolution, and they still keep 720 p or 1080p quality. On the other hand, contemporary video receivers are not ready yet. For instance, there’s no 4K home movie theater system that you can buy on Amazon, eBay or in Best Buy. There are a few Sony cinema projectors in movie theaters. There are no 4K Blu-ray players at all. If we check the list of popular computer monitors, we’ll see that expensive flagship Samsung SyncMaster 305T LCD monitor offers 2,650 x 1,600 pixels screen resolution and costs over $1,200 USD. Other less expensive monitors like Lenovo ThinkVision L1940p or Dell G2410 have 1,440 x 900 pixels and 1,920 x 1,080 pixels resolutions respectively. Their average price is about $215 USD. It’s good to know that all three devices support full HD quality, but as you see, hardware manufacturers don’t hurry up to provide 4K support. 4K is likely to be a feature for next 10-15 years. But since there are no computer monitors with 4000+ pixels resolutions in 2010, you won’t be able to grasp the full significance of the new format. We, the Freemake Team, believe that both TV broadcasting and online streaming future is for 4K, 8K and 32K technologies. We hope that they become a gold standard of video encoding industry. Regardless of all difficulties and limits, watching these high def videos on YouTube is possible. But it requires super-fast broadband. If you have a poor Internet connection, it makes sense to save them to the hard disk. It might help to enjoy content without wasting precious gigabytes to stream them online. Even if it seems more reasonable, please make sure that your desktop player can play 4K videos. 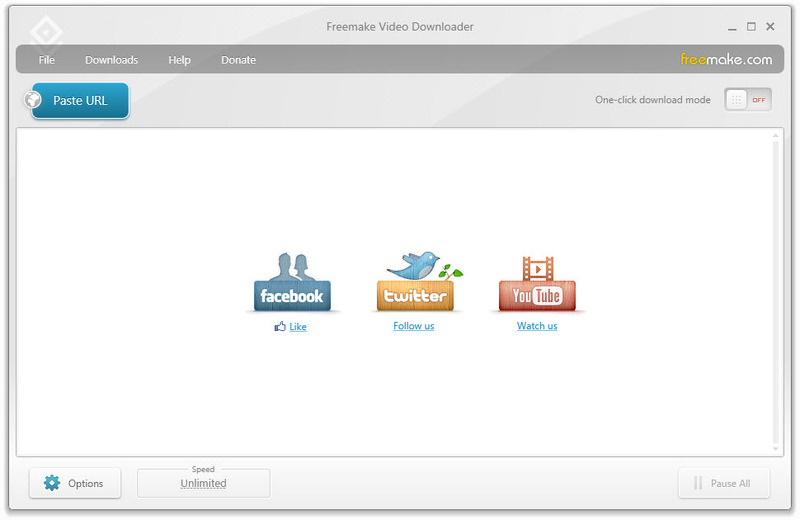 As a remedy, you can watch downloaded videos in Freemake Video Converter.